She never lived long enough for her beauty to fade. But a real woman—and a real actress—did emerge, and deserve to be remembered. 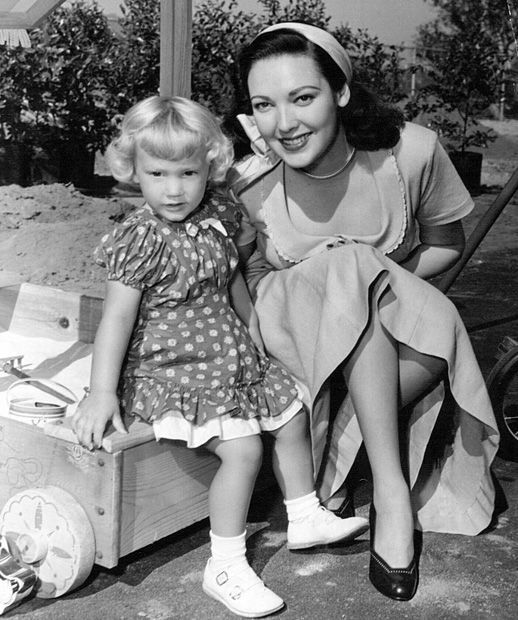 Linda Darnell had a stage mother straight out of Gypsy. 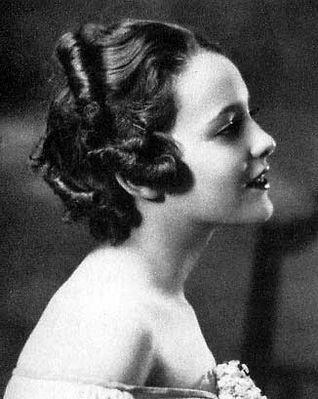 A monstrous woman who dominated her fearful family, Mama Pearl first pushed her daughter onto the pageant and modeling circuit when she was just 11, fudging her age by two or three years. And of course she sent the shy girl to drama and diction classes. “She didn’t stand out particularly, except that she was so sweet and considerate,” recalled one teacher. 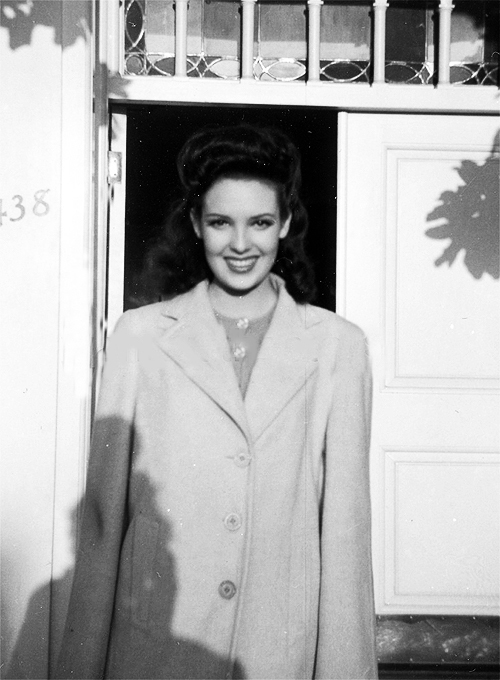 “But her mother was right behind her everywhere she went.” In 1937, at a local Dallas pageant, Darnell was discovered by a 20th Century Fox scout and sent straight to California—only to be shipped back home when the studio discovered she was 14. 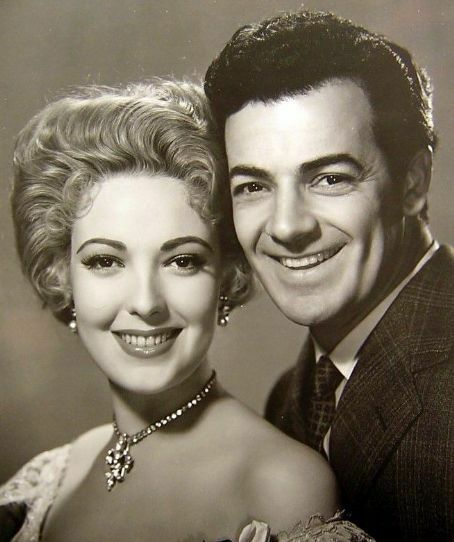 Undaunted, Pearl then entered Linda in RKO’s “Gateway to Hollywood” contest, which dangled a short-term contract as first prize. She used Linda’s victory as leverage with Fox, which signed the girl as soon as she was free from her brief RKO stint. Now a whopping 15 years old, Darnell once again headed for Hollywood, with her pet rooster under one arm and her mother tightly grasping the other—never letting go until she was banned from the studio lot several years later. Offscreen, her life was running less smoothly. Perhaps seeking a stronger father figure than the one she’d grown up with (a mild-mannered postal worker steamrolled by Pearl), the 19-year-old eloped with Peverell Marley, a cameraman 23 years her senior, much to the horror of her friends. Marley drank heavily and after a while, his impressionable bride—needing a release from the pressures of the studio and her increasingly unhinged mother—picked up the habit, which would eventually prove disastrous. The couple adopted a baby, Lola, whom Darnell doted on; pictures of her with her daughter provide the only glimpse of real happiness she seems to have ever known. The married Zanuck, who had pursued the actress without success, was furious about her elopement and quickly turned his attentions to other proteges. 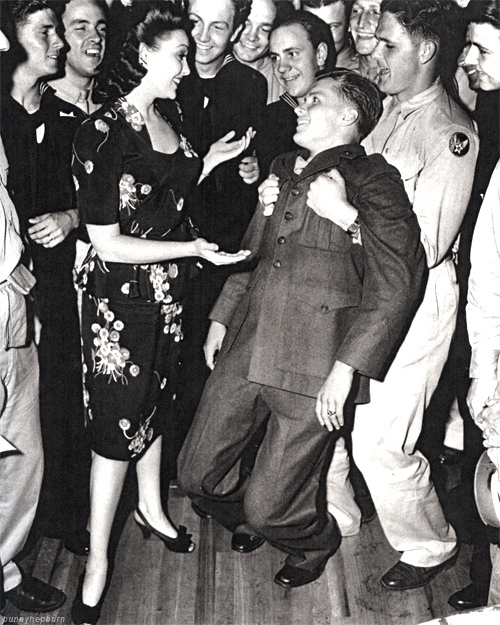 And just months after Pearl Harbor, her favorite co-star, Power, joined the Marines. 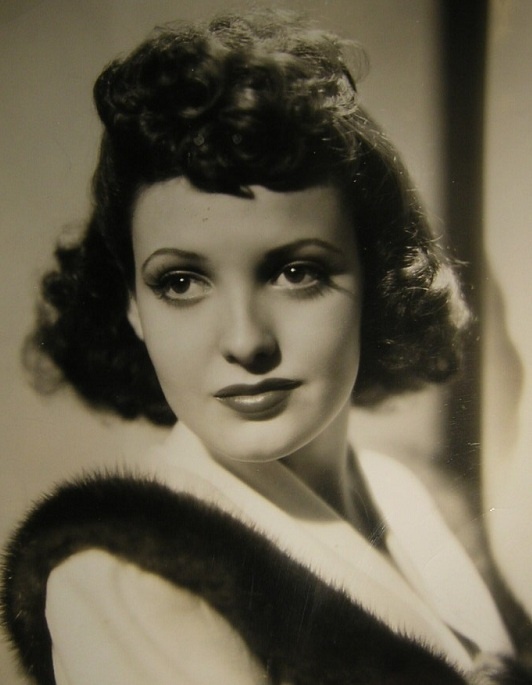 With her career suddenly adrift, Darnell threw herself into the war effort, selling bonds, working for the Red Cross, and taking frequent shifts at the Hollywood Canteen. 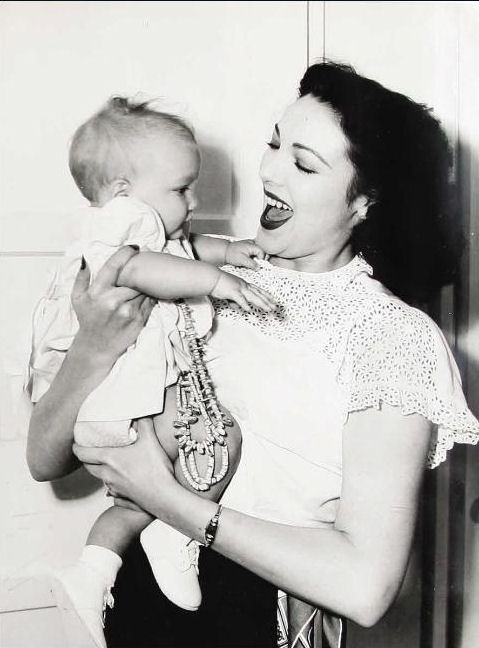 She also studied to become a nurse’s aide, and with her best friend, Ann Miller, ran a daycare center for women working at the war plants. In 1944, Look magazine, on the hunt for popular wartime pin-ups, named Darnell one of the “Four Most Beautiful Women in Hollywood,” along with Ingrid Bergman, Hedy Lamarr and Gene Tierney. 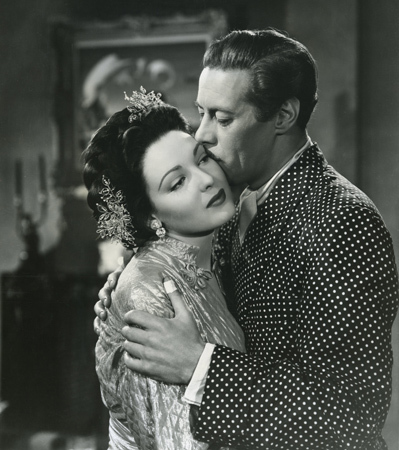 Quick to capitalize on the publicity, Fox loaned her out at a premium to Douglas Sirk for Summer Storm. “For eighteen months I did nothing in pictures—I pleaded for something to do, but nothing happened,” she told a reporter. “The character in the Chekov film is a wild sort of she-devil, which any actress would go miles to play. She’s devil mostly—at times angelic—and perfectly fascinating to interpret. I’m counting on my Russian girl to give me a new start.” Ah, yes, a new start. At 21. For the most part, they were much worse. On Forever Amber, Darnell was again paired with the tyrannical Preminger. She had dieted strenuously for the corset-heavy costume drama, and twice collapsed on the set from hunger as well as nervous exhaustion. 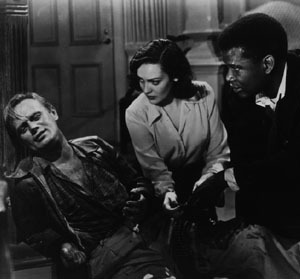 And for all the misery she endured, the film fell short of its massive hype: while audiences cheered, the critics mostly yawned, and the film didn’t give Darnell the boost, either in confidence or in clout, that she’d hoped for. Meanwhile, her marriage to Marley, never all that sturdy to start with, was unraveling; in 1948, they separated for the first time. 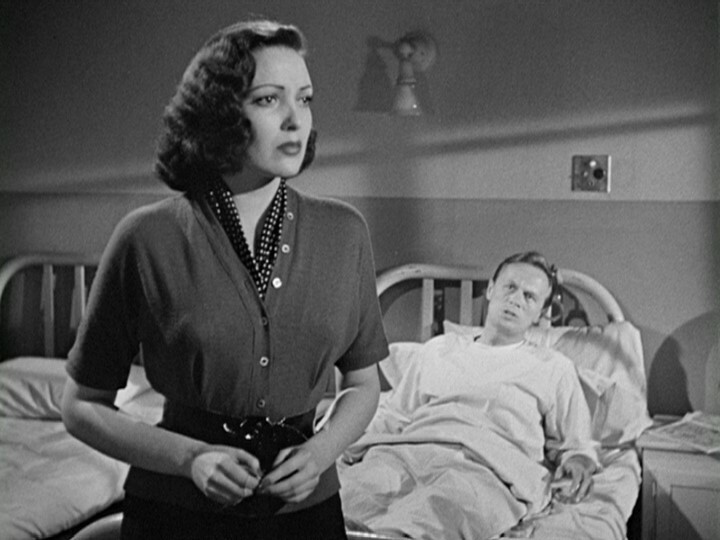 Alone, afraid and drinking more heavily, Darnell drifted into an affair with the married writer/director Joseph Mankiewicz—her first, his fifteenth or so. During one of the lowest points in her life, Darnell made two of her finest films. 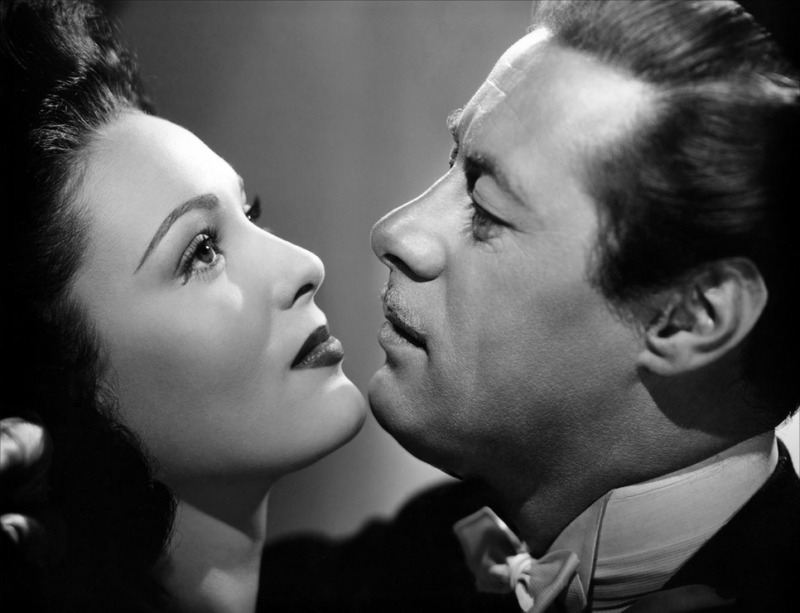 In Unfaithfully Yours, produced, written and directed by Preston Sturges, she’s the wife of an egocentric orchestra conductor (Rex Harrison) who concocts an elaborate revenge fantasy when he suspects she’s cheating on him. She’s so gasp-inducingly gorgeous, you’re almost distracted from how fabulously funny she is—a Sturges heroine who throws away her lines with the ease of a Colbert or a Stanwyck. Ironically, given Darnell’s situation with Mankiewicz, the movie’s release was delayed after actress Carole Landis took her own life when Harrison, then married to Lilli Palmer, ended their affair. 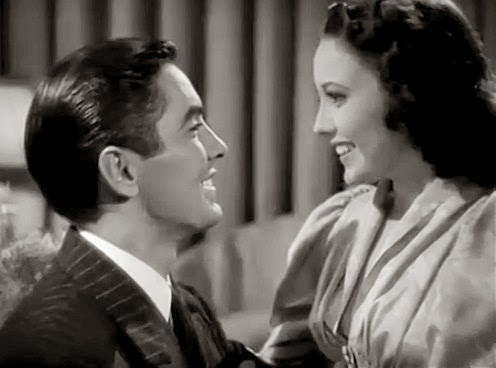 When the film finally did open, audiences and critics rejected its dark, offbeat humor, though it’s since been embraced as Sturges’s last great film. In 1949’s A Letter to Three Wives, written and directed by Mankiewicz, Darnell earned the best reviews of her life. As Lora Mae Finney, a social-climbing beauty who’s literally from the wrong side of the tracks—the whole house shakes whenever a train roars by—she’s hard-edged, touching and hilarious. She gets some of the best lines in a flawless script, and casually belts every one of them into the stands. 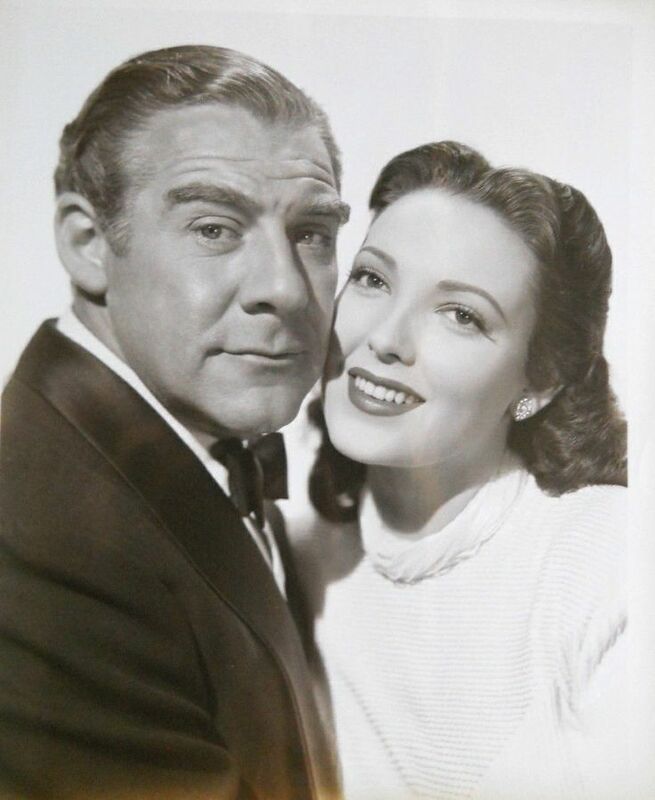 Determined to marry Porter Hollingsway (Paul Douglas), who owns the department store where she and half the town work, Lora Mae wangles a late-night meeting to discuss a promotion, though both she and Porter know it’s a prelude to something more. As she sweeps into the kitchen before the date, her mother’s friend Sadie (Thelma Ritter), who deems her dress much too simple, asks, “Doncha think you should wear something with beads?” And Lora Mae replies matter-of-factly, “Ma, what I got don’t need beads.” She’s not vain, just realistic—but she thinks she’s savvier than she is. She plans to snag Porter by playing the naif, but soon discovers just how out far of her depth, and genuinely innocent, she really is. That Darnell wasn’t even nominated for an Oscar for her performance was criminal; they should have just dispensed with the ceremony and mailed the thing to her house. Off the set, Darnell’s life was growing more desperate. In January 1949, she sued former business manager Cy Tanner for fraud, claiming he’d stolen thousands of dollars from her over the years; he eventually went to prison but never repaid a dime. The following year, Marley essentially extorted $125,000—just about all the money his wife had—in return for a quiet divorce with no mention of Mankiewicz. Having broken her own code of honor to steer clear of married men, she had paid dearly for loving and protecting a man who had given her little in return. Throughout her last years, Darnell continued to work sporadically. In the spring of 1965, while preparing for a play near Chicago, she stayed at the home of her friend and former secretary, Jeanne Curtis, one of many former Fox staffers who still adored her. Late one night, she turned on the television only to find her 17-year-old self staring back at her in Star Dust, her second big film. Not long after drifting off to sleep, she was jolted awake by the smell of smoke and the sounds of panic: the house was on fire. While Curtis, her husband and her daughter leapt to safety from a second-floor window, Darnell, too terrified to jump, tried to escape through a downstairs door. But a neighbor had run over and smashed a back window with a shovel, and the inrushing air fed the fire and spread the flames throughout the first floor. Darnell, who had a lifelong fear of fire, was found crouched behind the sofa, burned over almost 90 percent of her body. She died at the hospital two days later, regaining consciousness only once, briefly, when Lola arrived at her bedside. She was 41 years old. Contrary to persistent rumors, she had not fallen asleep while smoking, nor had she been drinking. She had nothing to do with starting the awful blaze that claimed her life. Lovely tribute to a tragic star. Can’t think why Fox let her go in 1952. She and Paul Douglas are my favorite couple in A Letter To Three Wives. Thank you so much! They’re my favorite too. I especially love the scene where they’re enduring the awful dinner party at Ann Sothern and Kirk Douglas’s house. And the earlier one, where she’s leaving his house, after he refuses to marry her, is just heartbreaking. She had so much depth and range, and was so underappreciated by the powers that be. Someone you just wanted to rescue. What ever happened to her daughter? She married and moved to Pennsylvania, and has lived very privately. 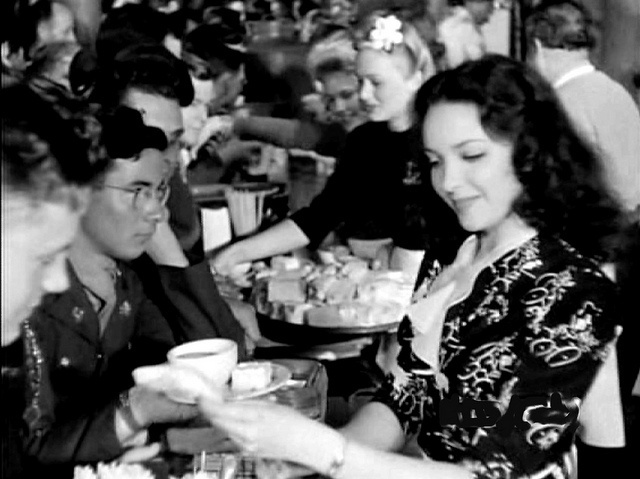 A very lovely and loving piece on Linda Darnell. I thought she was fabulous in UNFAITHFULLY YOURS, and as you noted, her brash confidence in that movie gave no clue of her sad personal life. 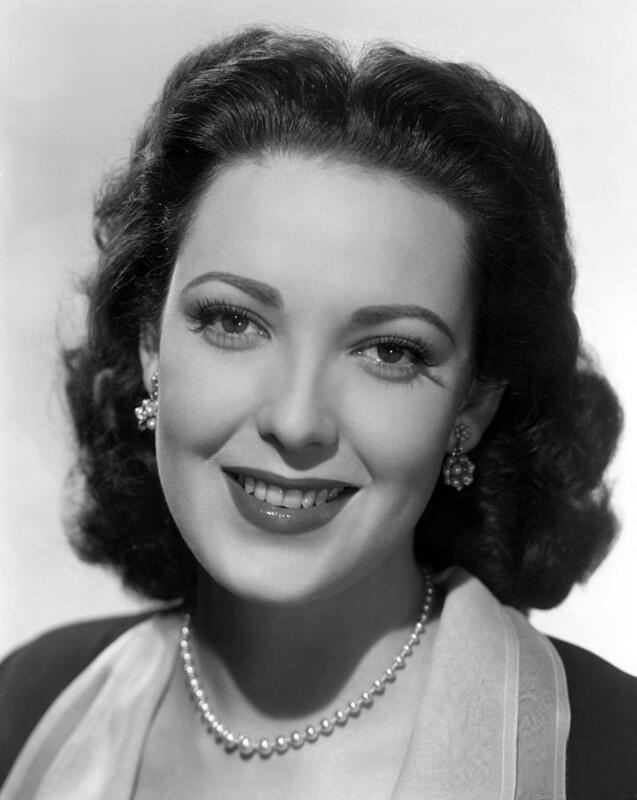 Never mentioned is the fact that Linda Darnell had an absolutely stunning, deep and smooth speaking voice, so beautiful just to listen to….. This is why she succeeded on the stage also. 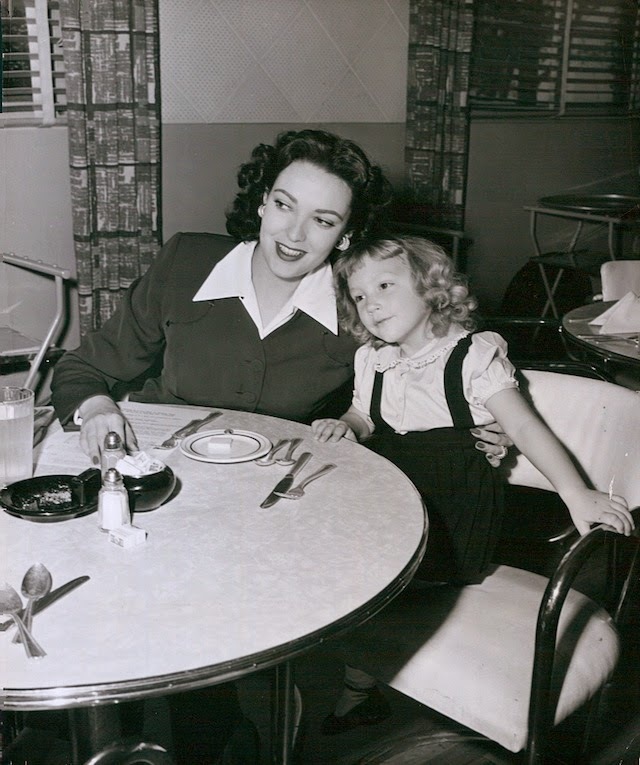 Her ‘bossy’ stage mother insisted that Linda have diction lessons from earliest childhood. This is an area of theatrical training that is almost totally neglected today. Listen to Darnell, Joan Fontaine, and Olivia DeHavilland. Consider the difference. By comparison, Bette Davis was a fish-wife. Wow… This was a great tribute. Very touching. Makes me cry to hear anybody ending like that. She was one of the good guys out there! Hollywood always has been a den of debauchery, but LD seemed a lil above all that because of her unpretentious & genuinely caring attitude! Lovely person inside n out! I would have loved to have known her. I believe we are related. A not-so-happy life ended in intold tragedy! Life and death were cruel to her! Someone should make a movie about her life. Wonder what happened to her daughter. Poor child! Yes,she was perfect.I especially enjoy her “Wagon Train” episode,”Dora Gray story”.Bet she was sweet and a sure beauty. One of the best on and off screen. 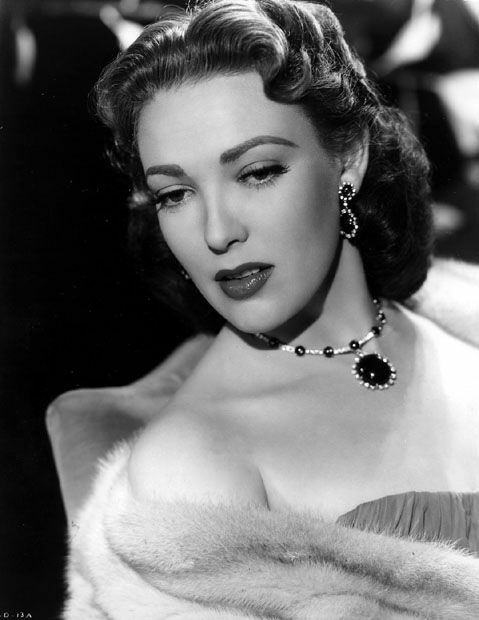 Linda Darnell was a beauty in more ways than one. Linda is the picture of female perfection for me. I have not seen many of her motion pictures. One I have seen is: “Blood and Sand”. The girl gave an Oscar winning performance in that film. As Carmen she was so sweet, so adorable with her perfect face and feminine speaking voice.The tragic movie may have foretold the sad and tragic story of her life. Did this beautiful,sweet,accomplished actress woman ever win an Oscar? She should have.In this role alone her performance was so real,so convincing,so perfect.”Carmen” crept into my mind and heart and now remains a part of soul.